One-Time orders go to post approximately two business days of ordering. USPS Priority Mail usually takes 2-3 postal days to deliver. If we're sold out, hang tight. We'll work toward restocking, which could take up to two weeks. 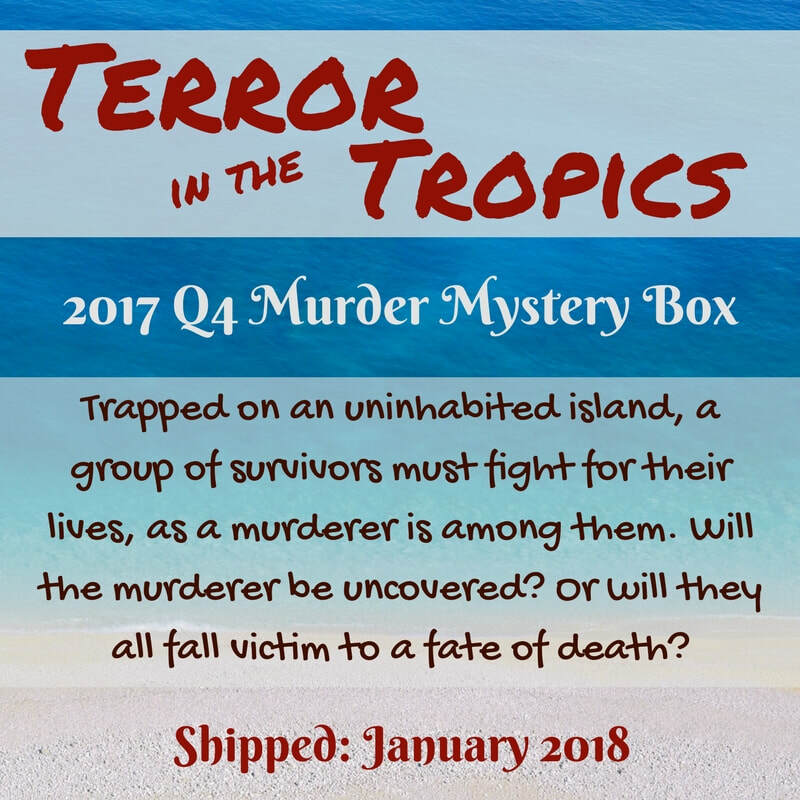 ​​Ordering a Murder Mystery Box ​as a gift? ​​Looking to Gift an Annual Subscription? If you'd like the box shipped directly to your recipient, during the check out process, be sure to select the "Shipping Address" as different from the billing address. This will allow you to enter the name of the recipient and their address. **Note: Even if their address is the same as the billing address, select this option & enter their name & the same address, so their box arrives addressed to them. ​Alternatively, you can have the box sent to yourself & you can present it to the recipient. Once your gift order is placed, you shall have the option of printing out a PDF that you may give to your recipient to hold them over until their Murder Mystery Box arrives.